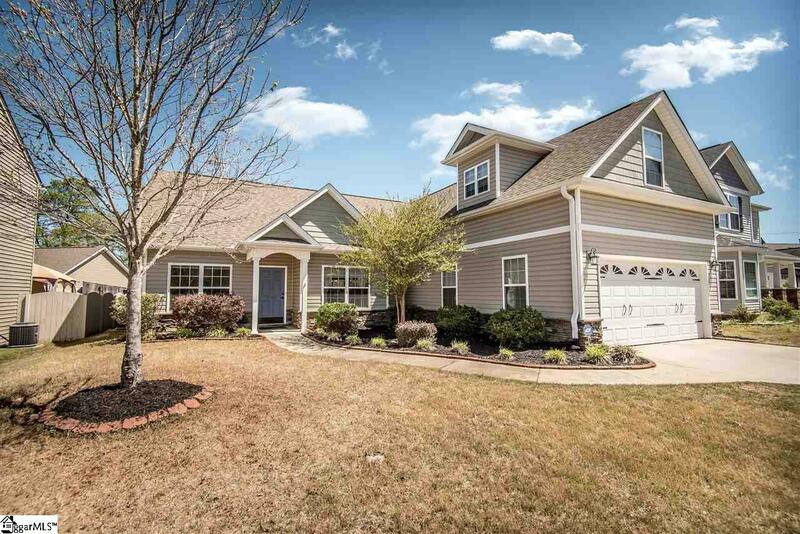 Beautiful 4 bedroom, 3 full bath 1.5 story home that is move in ready! This freshly painted home has beautiful upgrades including granite countertops, kitchen backsplash, hardwood floors, wainscoting and crown molding. This home has an amazing open floorplan with vaulted ceilings, a ventless gas fireplace, two bedrooms plus the master on the main level with a staircase leading to the fourth bedroom and full bath. Private fenced in yard with patio, community walking trail and is situated near two cul-de-sacs which makes it one of the best lots in the neighborhood! Convenient to interstates, shopping, dining, parks and schools. Come see this beautiful home while it lasts!